Beautiful Mt. Fuji reflected in the pond in the morning of silence. A wonderful shot. I photograph Fuji a few times a year, but I’ve never been here. Thank you so much, Jordan. I don’t photograph Mt. Fuji often either. I took this photo 4years ago. It was very small pond. Just totally in awe of this photo. 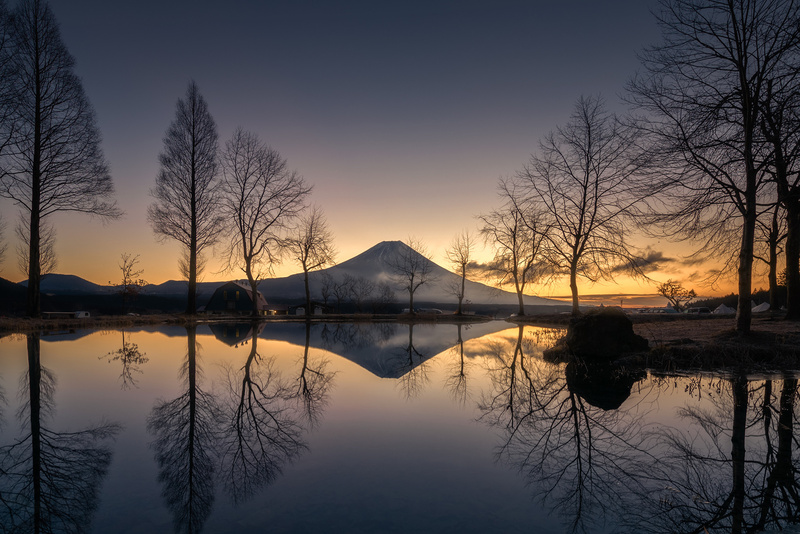 I can't imagine the patience it must have taken to get this image, with the rising sun perfectly behind Mt Fuji, and the mirror pond in the foreground. I can't stop looking at it. I'm so glad to hear such kind words. Thank you so much! Amazing picture. It captures the serenity of the moment.